This has to be the news that infuriate me the most in well over a year! What the fu.. Google! I really like Chrome… but I don’t care about VP8 or Theora! I want native h.264 support in my browser! Your move will just create confusion all over! Remember .mov, .wmv, .flv, .rm, etc for web video format! All this crap of having to install video plug-in in the browsers, update them, etc, etc! I DON’T WANT THAT BACK ALL OVER AGAIN! But thank’s to your wisdom I will now have to give up on the browser I got to love… Chrome. I will not support the use of such a browser that limit my choice of video codec. If you want to support VP8 then fine, just add it to the list… but for god sake, don’t take away h.264! MADNESS! support to make it consistent with the codecs already supported by the open Chromium project. Specifically, we are supporting the WebM (VP8) and Theora video codecs, and will consider adding support for other high-quality open codecs in the future. Though H.264 plays an important role in video, as our goal is to enable open innovation, support for the codec will be removed and our resources directed towards completely open codec technologies. Written using Safari on OS X! 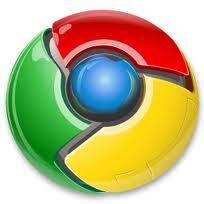 via Chromium Blog: HTML Video Codec Support in Chrome.